Red Sky Ranch sits above Wolcott about 25 minutes from Vail and 20 minutes from the Vail/Eagle Airport. This is a stunning residential community offering 700 acres with 87 exclusive home sites. Each lot boasts sweeping views of the Colorado Vistas that seem to never end. Red Sky Ranch offers convenience and exclusivity to it's members and homeowners and is the home to the nationally acclaimed Tom Fazio and Greg Norman golf courses. Red Sky Ranch Golf Club located twenty minutes west of Vail, Coloardo is set for a great summer of golf and real estate deals. The last two single family homes to sell in Red Sky Ranch was back in September and October of 2011. Those two homes sold in the $343 - $362 price range per square foot. There are better deals currently on the market, located in the valley's premier golf club: Red Sky Ranch. Currently there are four homes on the market and one of those is a banked owned dying for an offer. For more information on real estate in Red Sky Ranch or anywhere in the Vail Valley see my contact information. Red Sky Ranch Colorado is RED HOT! There are many places throughout the world, and even throughout the Vail Valley, that take your breath away. But Red Sky Ranch, located in Wolcott, Colorado, is one of the most spectacular places on the planet. Set high above the Vail Valley, this exquiste community offers two world-class golf courses, beautiful Colorado chic architecture, two restaurants, endless hiking trails, and sweeping views that seem to never end. There are just a few homes and homesites that are available for sale, as well as a stunning 825-acre ranch that is nested above Red Sky Ranch. 91 Wildflower Lane is a 4 bedroom, 5.5 bathroom, 4,662sqft new construction home that is well-priced at $1,895,000. Read more about Red Sky Ranch Colorado is RED HOT! GOLF SEASON IN THE VAIL VALLEY OPENS UP!! For those golf enthusiasts, spring has arrived early in the Vail Valley and that means golf courses like the Sonnenalp and Red Sky Ranch are opening up. 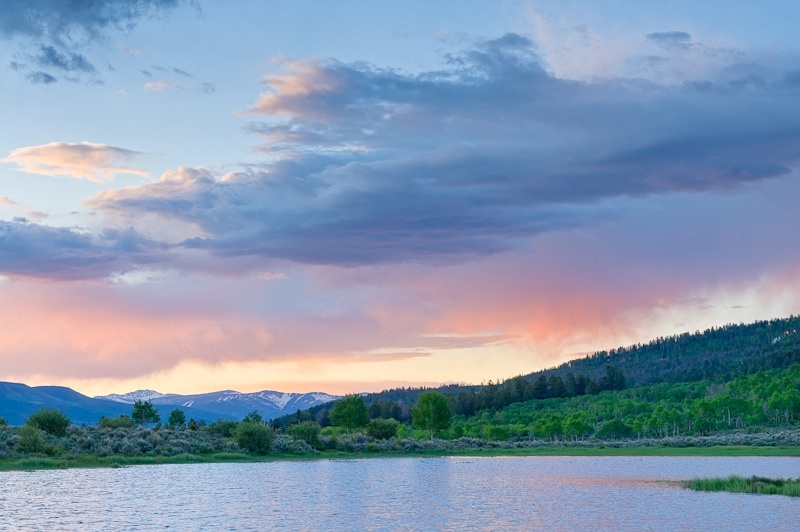 These two golf resort communities offer the best of all the amenities the Vail Valley has to offer from skiing, fishing, hiking, mountain biking to golf. It is all out your back door. In the real estate market, Singletree currently has 18 single family homes on the market priced between $799.000 - $2,750,000. Red Sky Ranch Golf Course has only four single family homes on the market priced between $1,895,000 - $4,495,000. For information on golf memberships and the real estate market at Red Sky Ranch or the Sonnenalp Golf Course see my contact information below. Read more about GOLF SEASON IN THE VAIL VALLEY OPENS UP!! Hello again. Time for a year end review of the real estate activity at Red Sky Ranch in Wolcott, CO. 2011 was a solid year for transactions, with 7 homesite sales and 2 home sales. The big news is the saving buyers saw on their purchases!! Red Sky Ranch was not immune from the recent national recession, and as such, the sales prices of recent homesites were at significant discounts from original purchase levels. For the 7 homesite sales, closing prices were on average 50% of what the prior owners paid. There are currently 4 luxury residences listed for sale, ranging in price from $1,500,000 to $4,495,000 and 8 homesites ranging in price from $299,000 to $995,000. No properties are currently under contract. Sellers' losses were buyer's gains and now is a great time to acquire a legacy property in one of the best golf course communities anywhere, Red Sky Ranch!! No matter if you are an avid golfer, fisherman, or rancher, Wolcott, Colorado and Red Sky Ranch Golf Course both offer a big variety of lots and acreage for sale. Lots range in size from 1 acre to 826 acres. Of course prices vary greatly. Some lots in the 1 to 2 acre size are priced in the $400,000 to $500,000 range, while some ten acre parcels are listed for slightly more. The most expensive deal and the biggest parcel of land (826) acres is the Jouflas Ranch which is listed at $30,000,000. Yes, that's right, thirty million for one of the most awe inspiring mountain ranch land available in the Rocky Mountains of Colorado.